A heist is coming to High 5 Casino in the 271st game! There are eight million stories in the big city; this is one of them! In the late evening, in a lavish high-rise penthouse apartment overlooking the sparkling city, jewel enthusiast gather to fault their precious collection. A mysterious couple attends the gathering with a motive unlike the rest of the opulence and glamorous guest. The dazzling and astonishing selection of diamonds, rubies, and emeralds floating around this luxurious estate will soon be theirs! It will be a night the guest will never forget! After all, a diamond heist is only a left-handed form of human endeavor. Get ready to steal the sparkling opulence of Super Stacks, Free Games and a Pick Bonus! Comment in the conversation bubble located on the top right corner of your screen and let us know what you think! 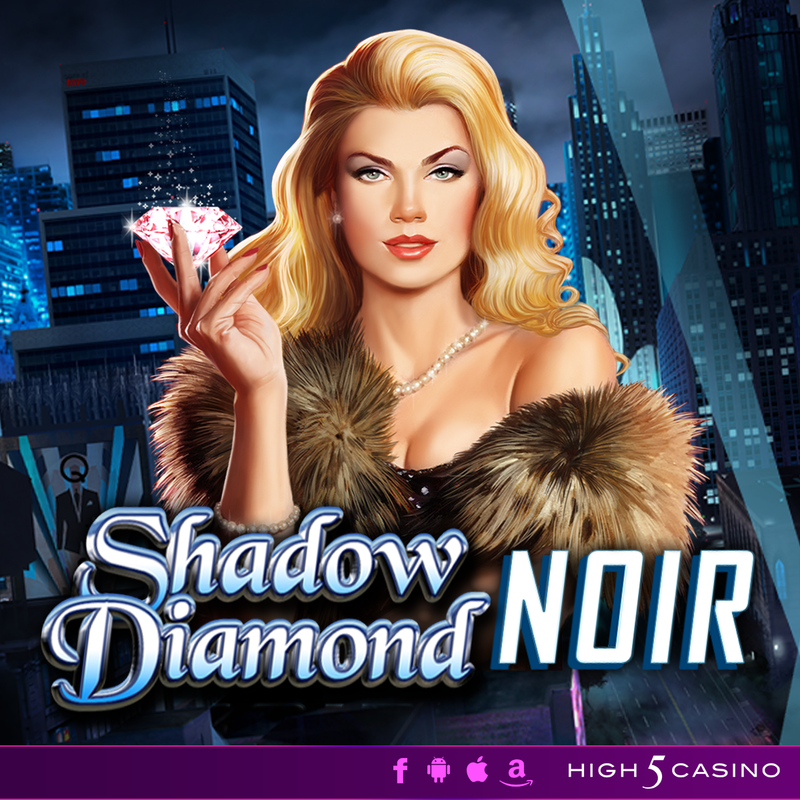 This entry was posted in game preview, High 5 Casino, New game and tagged Free Games, game preview, High 5 Casino, High 5 Casino Mobile, High 5 Games, mobile gaming, Shadow Diamond, Shadow Diamond: Noir, slots, social gaming, Super Stacks by hoothigh5. Bookmark the permalink.